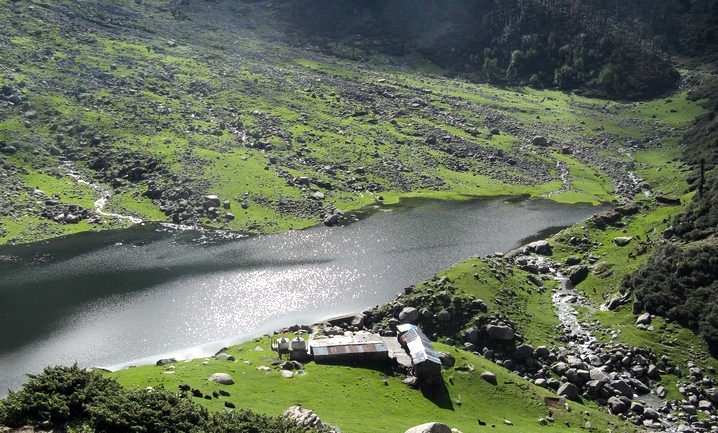 Lam Dal is the biggest Lake in Dhauladhars, and the second largest in Himachal. With the circumference of 2.5 kms is considered to be sacred in Himachal and worshipped as an abode of Lord shiva. Hundreds of pilgrims arrive to take a holy dip in the Lake during festival of Janamashtmi. Lam Dal is at an altitude of 3900 meters and can be approaced via Inderhar Pass, Gaj Pass and Minkiani Pass. Enroute to Lam Dal are seven small & big lakes; hence it is also called the area of the seven lakes. 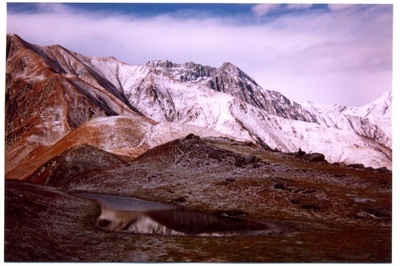 Kalikund, a well shaped lake, is about 150 metres below Lam Dal. It is worshipped by devotees on account of its religious background. 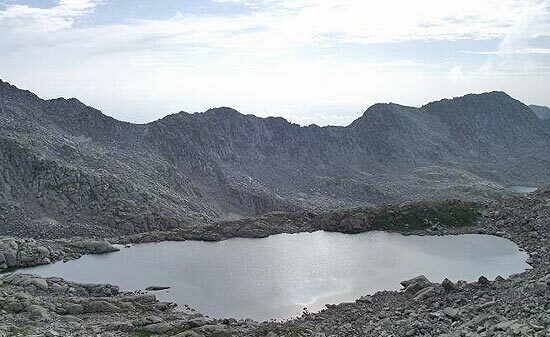 Chanderkup (Moon lake) 4100 metres is a beautiful lake with ice blocks floating in it. 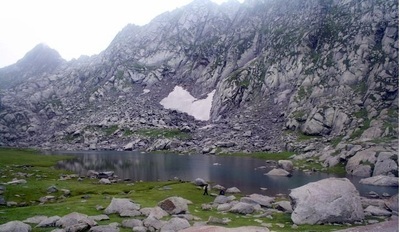 Nag-Chhatri Dal (King Cobra Lake} near the lndrahara pass, is related to the Bhagsu Nag waters and is situated on the other side of the Dhauladhar at an elevation of 4200 metres. 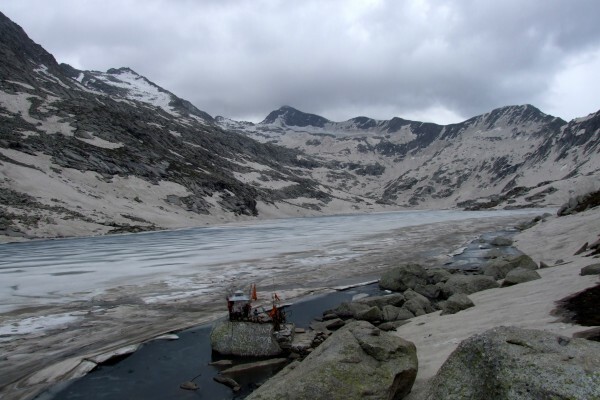 The devotees take a dip in this lake during the Manimahesh yatra towards the end of August and early September. Gaj Pass is shortest and most suited pass to reach Lam Dal as ascent from Dharamshala ends just above the lake. Gaj, named so because Bhim's Gaja (a round headed metal mace) came down and struck somewhere in the vicinity leading to water springing from the ground; is a gateway to Lake County. When you climb Gaj, you dont just climb up the Dhauladhars, you also climb right into the lap of some beautiful high altitude lakes and complete solitude. We descent from Satobari to Gaj river, from there it is a steep climb up to Khari Bhai village starts from the bed of the river. Nearly 4-5 hours walk leads to Khari Bahi. We camp here at near small provision shops in the village. After crossing the bridge just below the village there is a steep climb through thick forest and streams which leads us to Bagga Dhar. There is a small guest house here for stay. 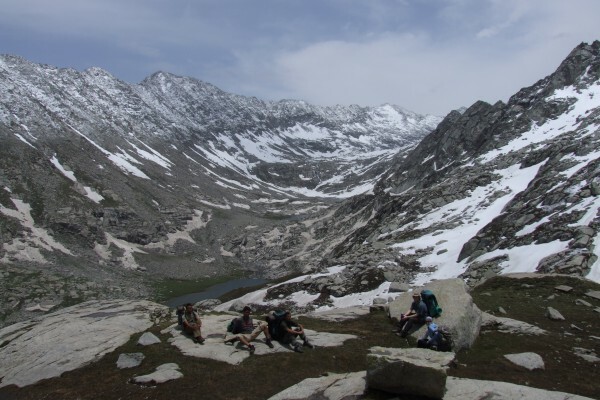 We start early as today is a long and tiring journey, we can either stay in rock shelter caves just below the pass with views of start studded open sky and beautiful landscapes till Punjab and enjoy the night with nature, or we can can cross the pass and reach Lam Dal. The views from top of Gaj pass are breath-taking. The panaromic views of Kangra valley and plains of Punjab are beautiful. We can also view Lam Dal from above the pass. Descent from the pass to the Lake is over Big Boulders and moraine and we need to negotiate carefully as we reach Lam Dal. There is a small temple here with a Shivalingam and Trishuls as a mark of respect and devotion towards Lord Shiva. After rest and freshen up we will proceed for a short descent towards Kali Dal a small lake nearby, we will pitch tents here. 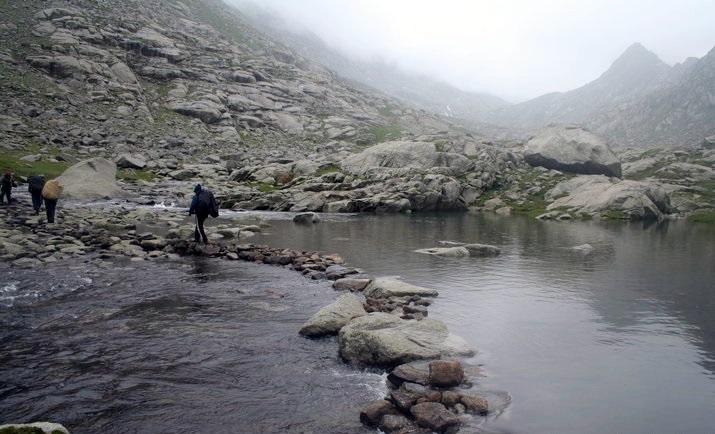 Trail descends from Lam Dal to Drakund village. It's long but easy journey today of 15 kilometers. 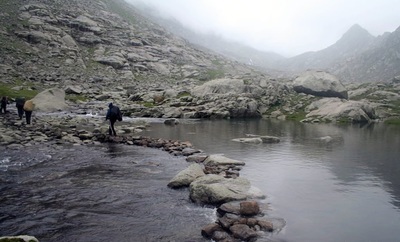 We have to cross a nullah or river stream on our way, in the absence of temporary bridges the icy cold water becomes an adventure in itself to negotiate. The path descends towards and we reach a forest guest house near apple orchards in Drakund. We spend our night here in guest house or tents. Today we descend towards Donali for 9 kilometers as our well laid path crosses through several villages. We reach Donali as taxis would be waiting for us to transfer at our comfortable hotels in Chamba. 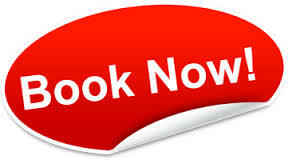 Click Here to know whats included in your package and what to bring?